The Surgery will no longer be open late on Wednesday evenings after 27.09.2017. We will close at 6pm. We apologise for any inconvenience. We are closed on 19.04.2019 and 22.04.2019. We will re-open on 23.04.2019 as normal. The surgery underwent a CQC inspection in April 2018. For any help, support or guidance the website address below will be able to assist you for all your caring needs. We share information with the following medical research organisations with your explicit consent or when the law allows: [Clinical Practice Research Datalink]. Cotterills Lane Surgery contributes to national clinical audits so that healthcare can be checked and reviewed. · Data are sent to NHS Digital , a national body with legal responsibilities to collect data. · The data will include information about you, such as your NHS Number and date of birth and information about your health which is recorded in coded form – for example the code for diabetes or high blood pressure. · For more information about national clinical audits see the Healthcare Quality Improvements Partnership [or insert name of relevant body] website: https://www.hqip.org.uk/ or phone 020 7997 7370. For medical research the data will be shared with [research organisations]. UPDATE WHEN NATIONAL OPT OUT IS LAUNCHED with link to NHS Digital website. · You have the right to access your medical record and have any errors or mistakes corrected. Please speak to a member of staff or look at our ‘subject access request’ policy on the practice website – insert link. · More information can be found at: https://www.gov.uk/topic/population-screening-programmes [Or insert relevant link] or speak to the practice. The data will be shared with [insert name of local service providers]. Healthcare staff working in A&E and out of hours care will also have access to your information. 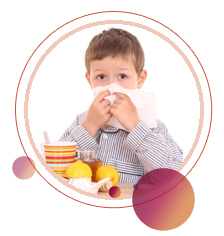 For example, it is important that staff who are treating you in an emergency know if you have any allergic reactions. This will involve the use of your Summary Care Record [OR Emergency Care Summary / Individual Health Record]. For more information see: https://digital.nhs.uk/summary-care-records or alternatively speak to your practice. · The database is held by [Insert name of relevant body eg NHS Digital, NHS Wales Information Services, Business Services Organisation or NHS National Services Scotland], a national organisation which has legal responsibilities to collect NHS data.
. This means we can offer patients additional care or support as early as possible. · More information can be found at: [Link or signpost to more information which the practice should provide if it participates in risk stratification] or speak to the practice. The front entrance has access for wheelchairs. We also have a car park for the use of patients however we cannot accept responsibility for loss or damage to vehicles. Please do not leave valuables in your car.